Hot off the press! Check out my second blog post, which I co-authored with Kayley Robsham from Check I’m Here. We have worked on this for weeks, so enjoy. 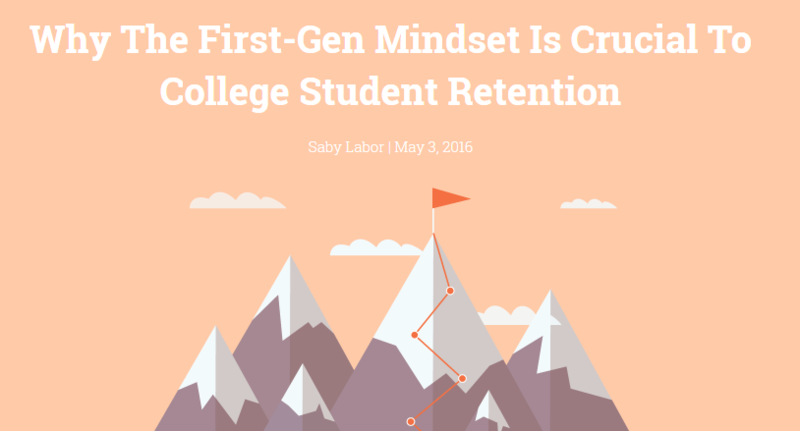 Look forward to part two in this series for strategies and tips to implement the first-gen mindset. Thank you SO much to all the folks who participated in the online survey and phone interviews to share your stories. Your work is essential to first-gen student success!